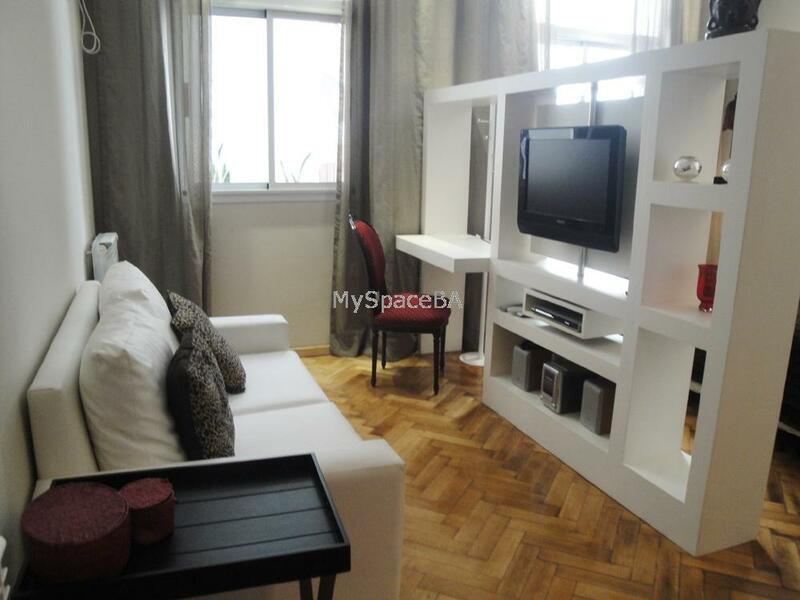 Lovely and bright one room apartment very well located in Recoleta area. The apartment was decorated with a great taste . The apartment offers a bedroom area with queen size bed. It has a very modern and completly bathroom with bathtub and shower . The living area has a comfortable sofa , it offers a dinning area with table and chairs. The kitchen is fully equipped. Aircon, Heating, Cable, Internet High Speed. TV LCD. Landline telephone. Excellent building . Elevator . Bus routes, Parks, Squares, Banks, Residential area, Subway, Commercial area. Santa fe Av, Bars, Restaurants, Museums.